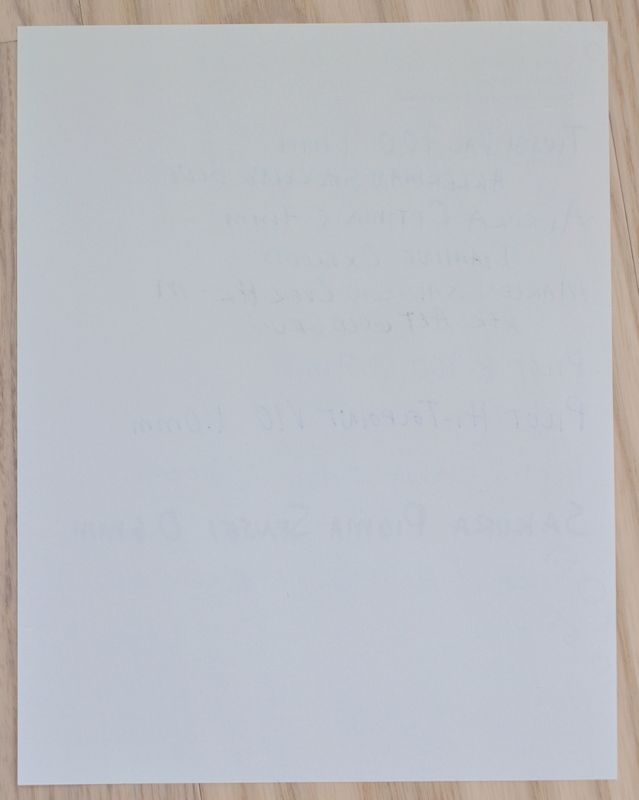 Smythson MEGA Review Part 1 – 12 Writing Papers Reviewed! 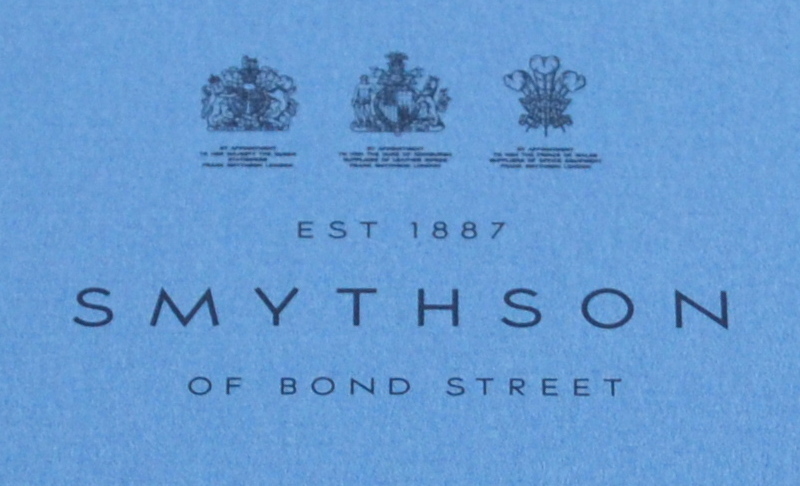 Smythson of Bond Street is a stationery and luxury goods manufacturer that holds three proper Royal Warrants. Smythson’s focus these days appears to be on overpriced luxury leather products rather than the stationery that made them famous. The good news is that Smythson still makes a lot of excellent papers. By my count there are fourteen different writing papers; that is far more than any of their competitors (namely the Wren Press, Dempsey & Caroll, and Crane & Co.). 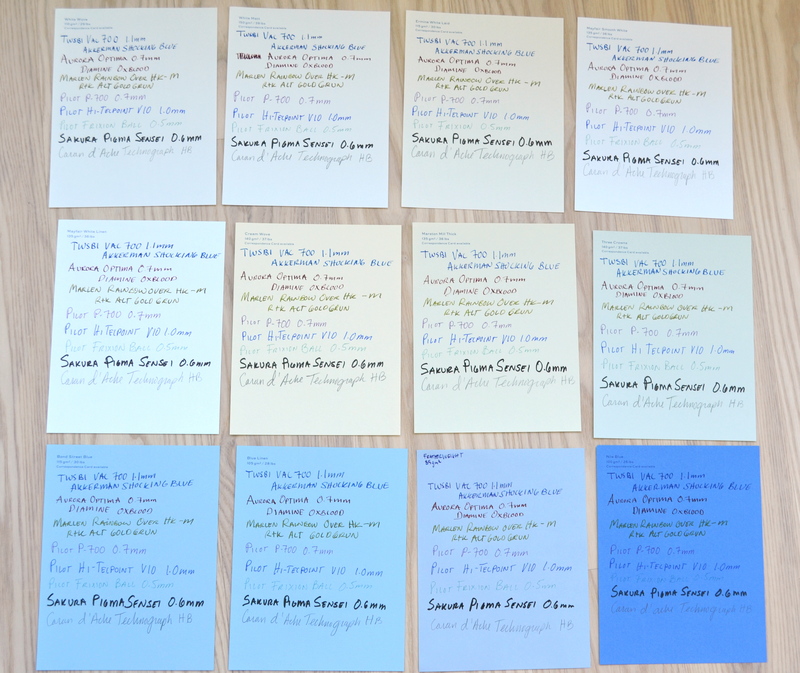 I will be reviewing twelve different Smythson writing papers in a two three part review. Per my understanding Smythson papers are all made in the United Kingdom out of 100% wood pulp. 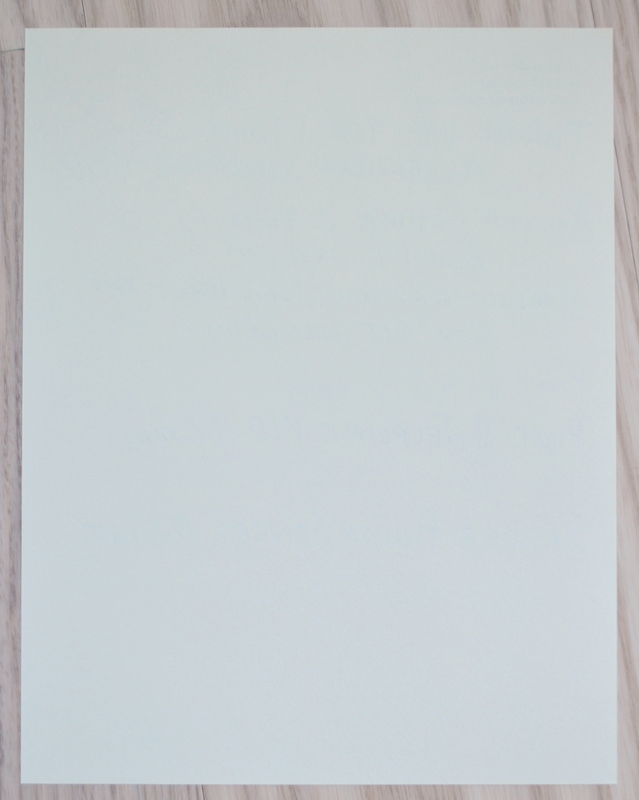 The absence of cotton or linen makes these papers highly suitable for use with fountain pens. Cotton and linen papers are generally considered superior to ones made out of wood because they can last much longer. If you are signing important documents that you expect to be around for 500+ years then cotton is the way to go. If you want to maximize the joy of writing with fountain pens wood papers are far superior (and with some care can last as long as 200 years). All of Smythson’s papers carry the watermark shown below (with the exception of one special paper that I will cover in Part 2). Because the paper is produced in a larger format than it is sold, most sheets do not have a complete watermark and this is especially true if you buy the Kings format that I prefer. Kings writing sheets are similar to A5 but are slightly taller and wider measuring W16 x H20.5 cm. Writing sheets are sold in packs of 50 for $15. All of the papers cost the same but most unfortunately most of them are not available in store or online. You will have to call Smythson and specifically request them ( I will discuss which ones these are later on). Also it should be noted that the sheets I have used here (with the exception of the Featherweight paper) are from a personalized stationery sampler and as such have the name of the paper and weight engraved on the top left corner. Lastly, before we jump into the individual reviews, I am sorry to say that all twelve of these papers are wonderful and there isn’t one I wouldn’t recommend. It is a bit anticlimactic to read through this two part post to learn that they are all excellent but it is what it. 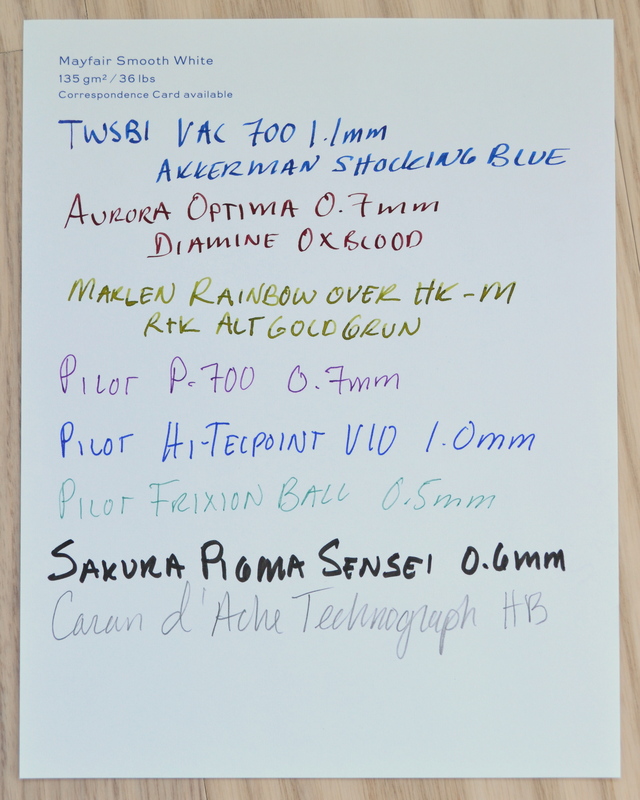 This paper is lightly textured and handles fountain pen ink very nicely. 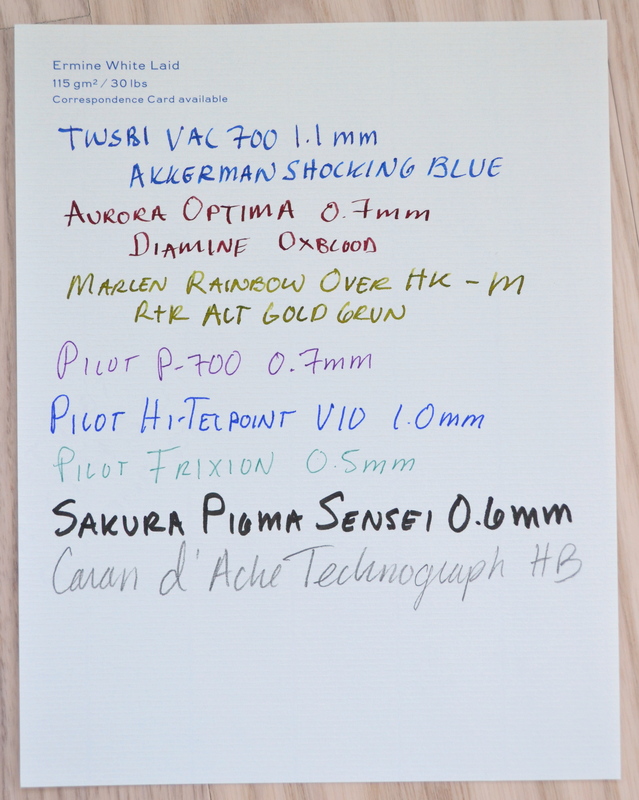 Feedback on this paper is very minor; pens glide nicely over the surface even though it’s not glass smooth. Minimal feathering and almost not bleed through. 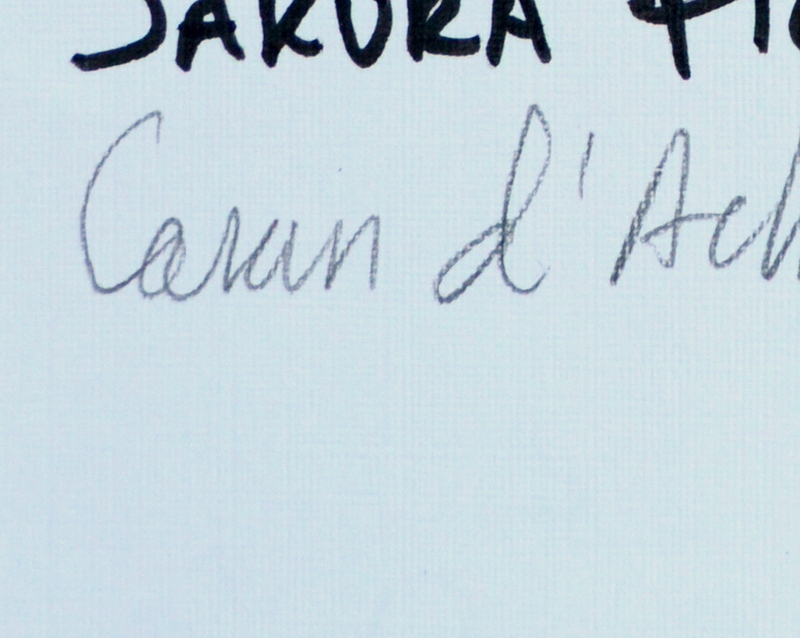 The back is ever so slightly smoother than the front and you can write on both sides no problem. Shot alone my camera tries to make this paper look very white so please see the pictures with multiple papers above to get a better sense of the actual color. Similar texture as White Wove but thicker. To me the White Wove is a bit more elegant with a more delicate but sturdy feel. The performance is the same as White Wove though I so no bleed through at all. 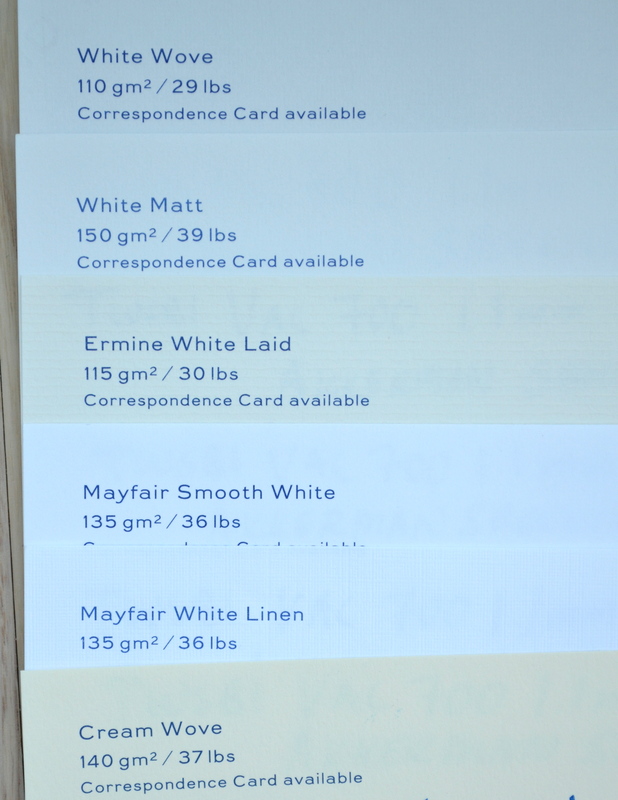 This paper and the Mayfair Smooth White are the whitest papers in the Smythson line. Despite being called White Linen this paper is 100% wood pulp and as a result it works beautifully with fountain pen ink unlike most papers made out of real linen. 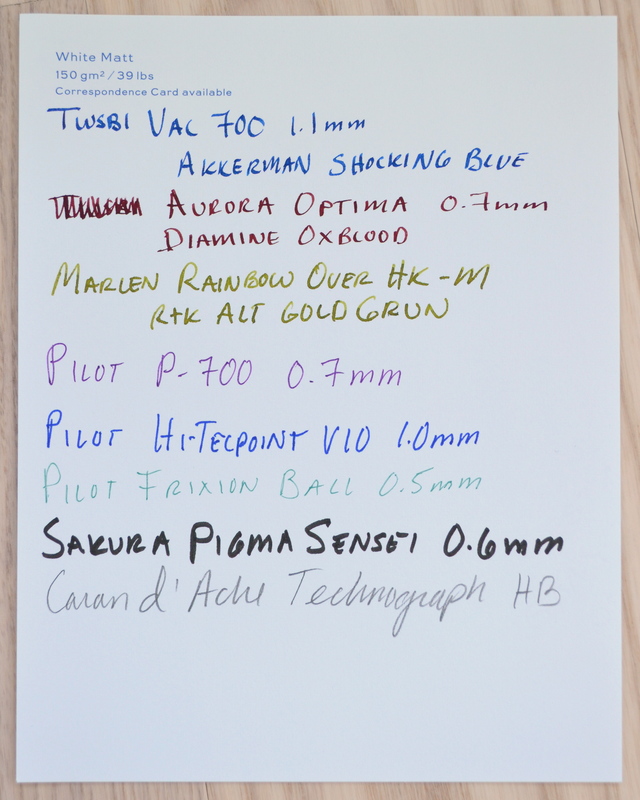 The gorgeous linen texture provides more feedback than the other finishes but still works very nicely with my pens. I do make an effort though to hold the page while writing as nibs can grab. 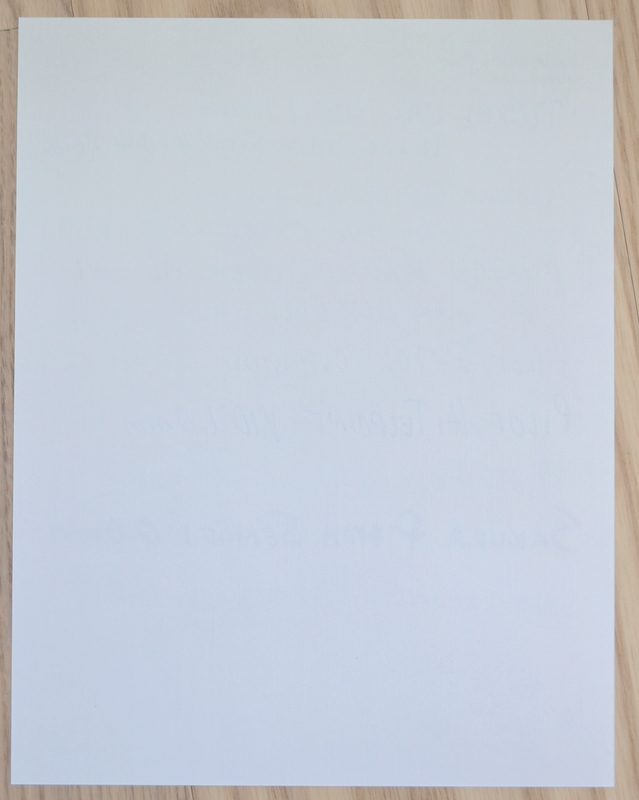 This paper has no bleed through and no feathering that I can see. 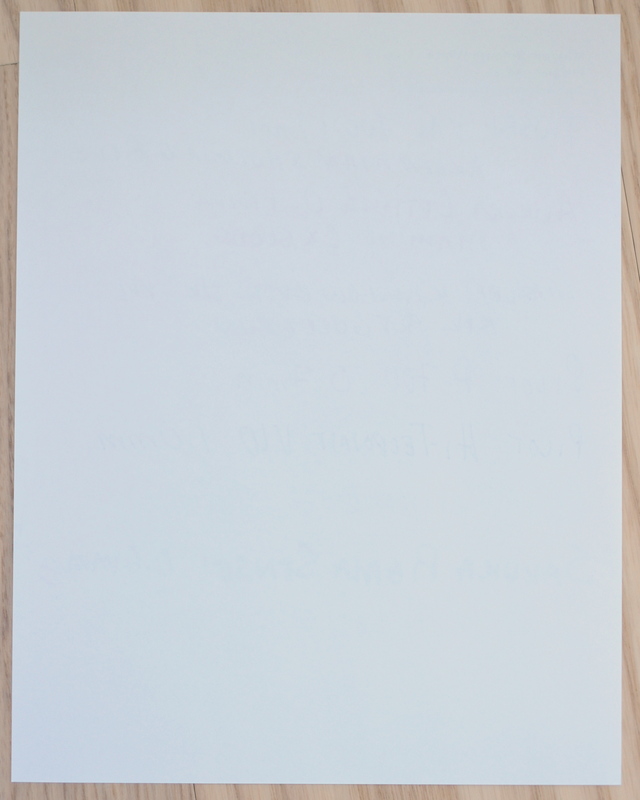 The back of the page is much smoother than the front and you can write on both sides of the paper. Same color and weight as Mayfair White Linen but with a smooth finish. 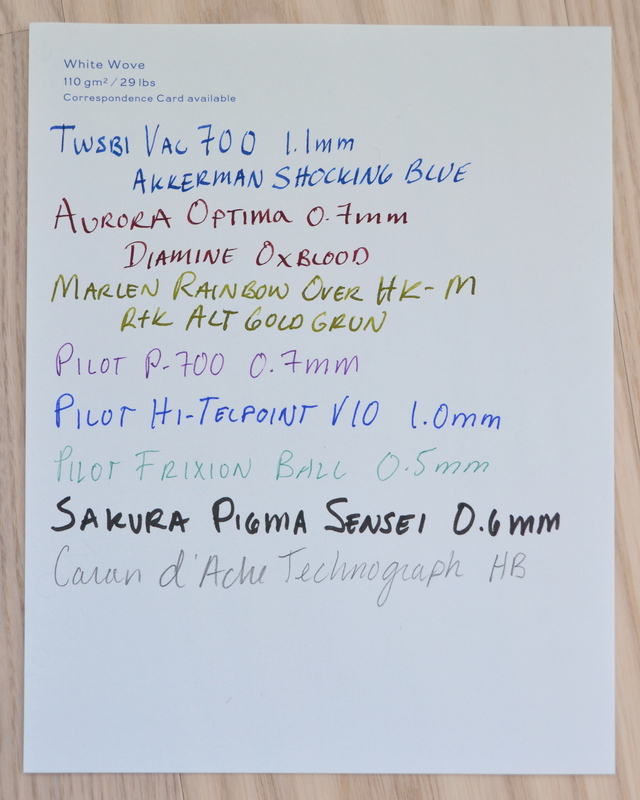 It is smoother than Rhodia’s 80 gsm paper and comparable to Clairefontaine’s 90gsm. In other words, this is on par with the smoothest paper on I own. Performance is excellent. No bleeding nor any noticeable feathering. 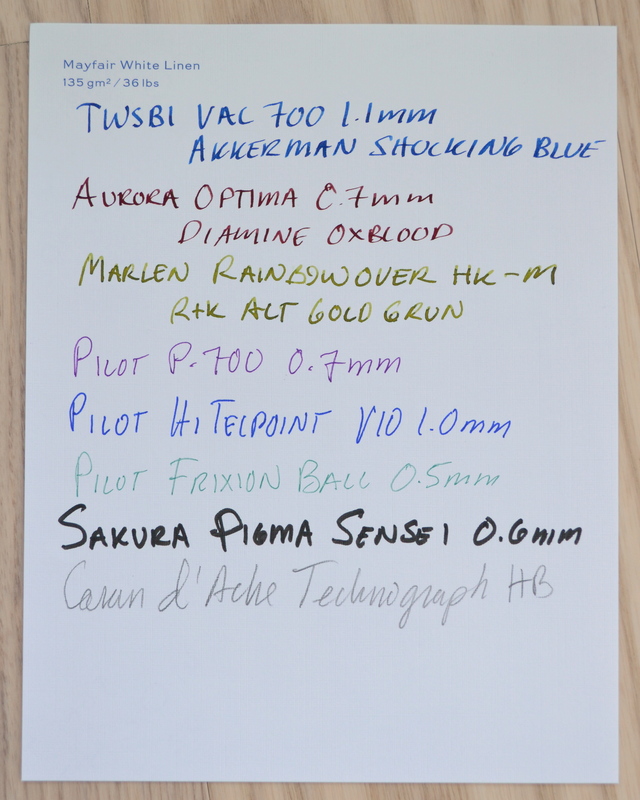 I highly recommend this paper for finer scratchier nibs. 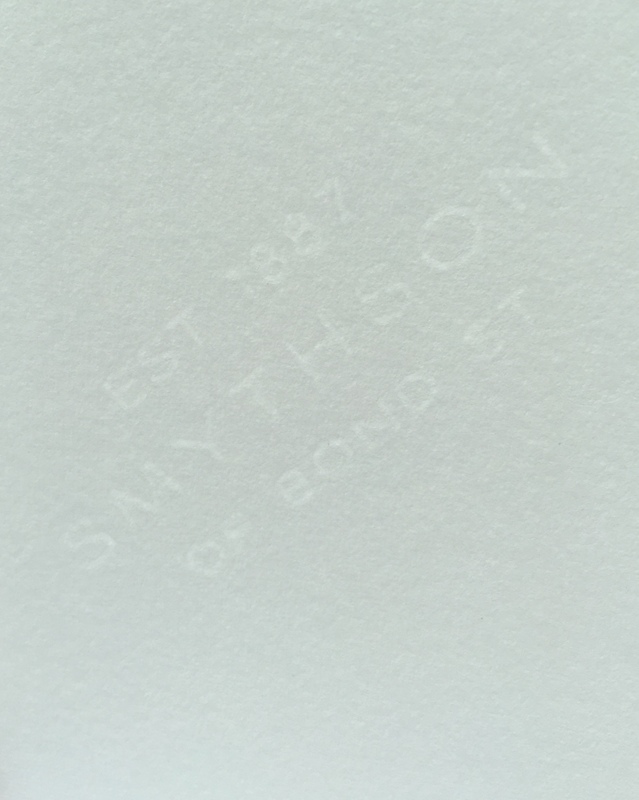 This paper is the most off white of the papers that Smythson calls “white”. 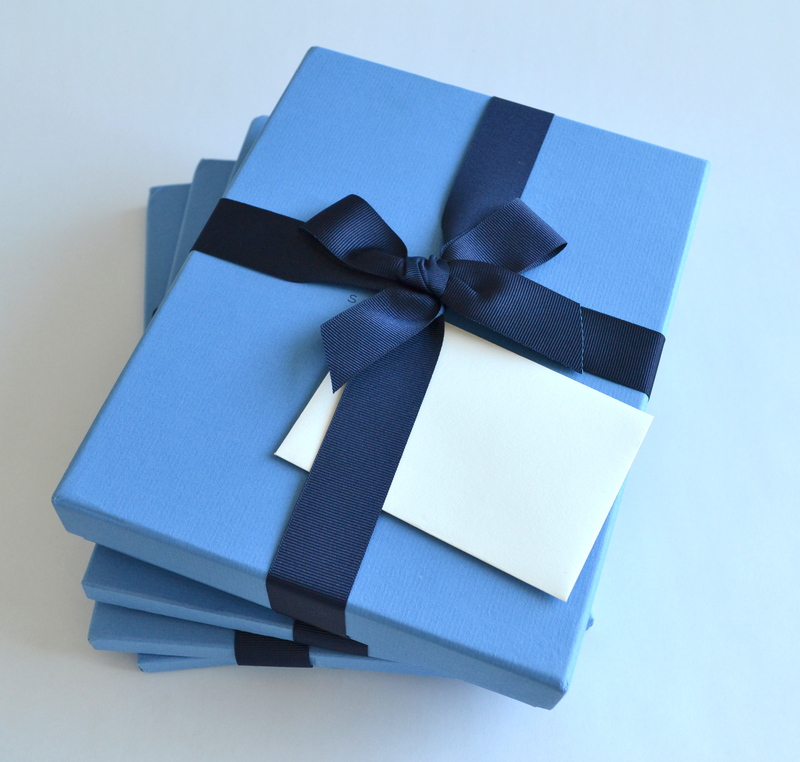 Laid paper has a ribbed texture to it and is an older form of paper making. In most mills laid paper was superseded by wove paper. 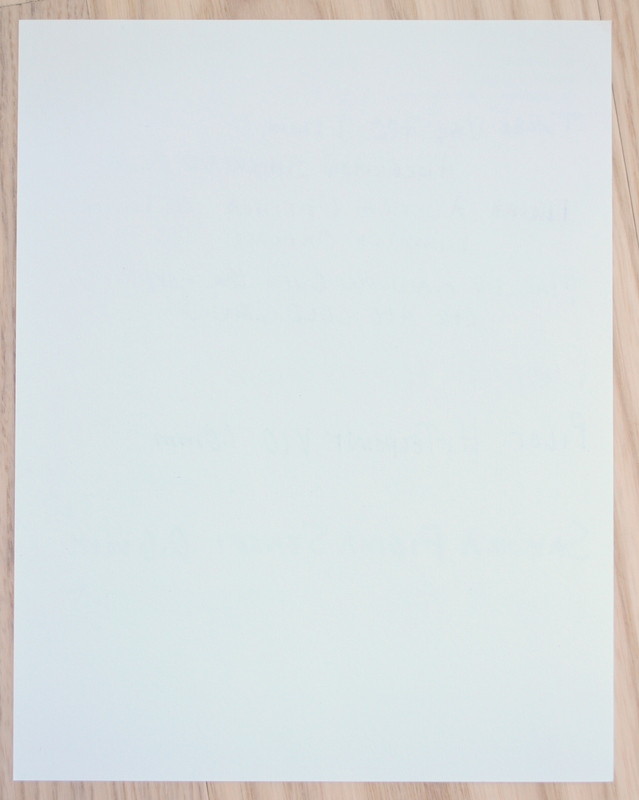 This paper is smooth on the back but you can write on both sides. This paper does not feather but because of the ribbed texture lines may look slightly less clean. 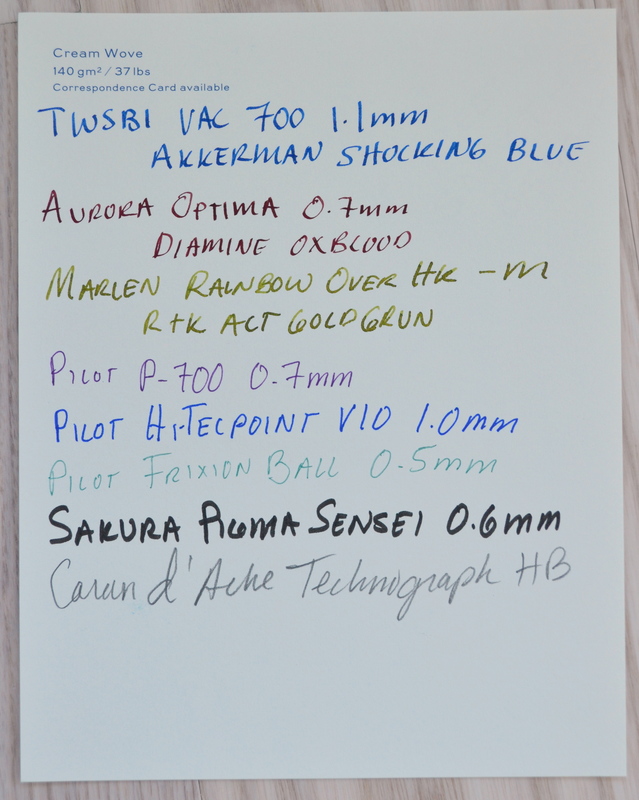 I saw no bleed through on this paper and overall it is the best performing laid paper I have ever owned. 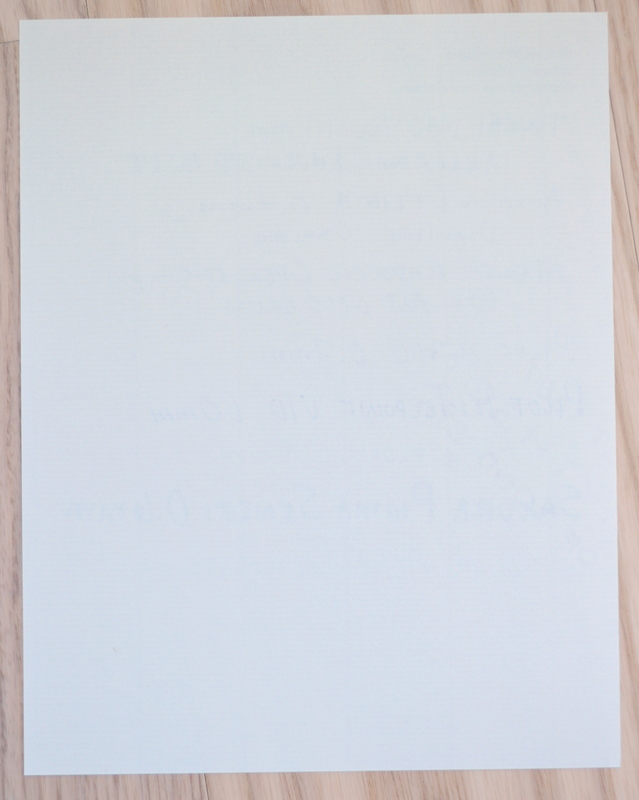 If you want to see what bad laid paper looks like see my review of Original Crown Mill’s laid paper. This is simply a heavier version of White Wove. The finish and color is exactly the same. I saw no bleed through once so ever on this paper where the White Wove had the slightest signs of spotting. 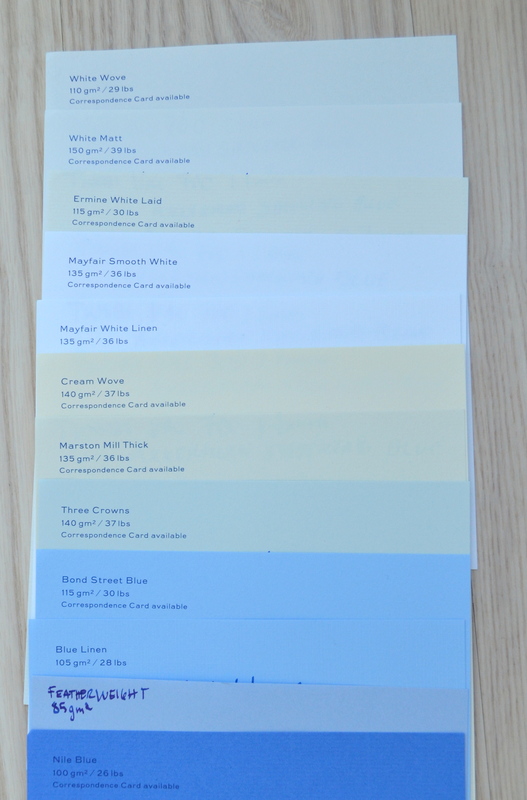 This is a nice paper but I prefer the lighter White Wove. Please stay tuned for Part 2 and Part 3. Next Post Smythson MEGA Review Part 2 – 12 Writing Papers Reviewed! A very fine and useful review! Can’t wait for Part 2. Thank you for the compliment. Part 2 has been posted and I am adding a third part later this week.